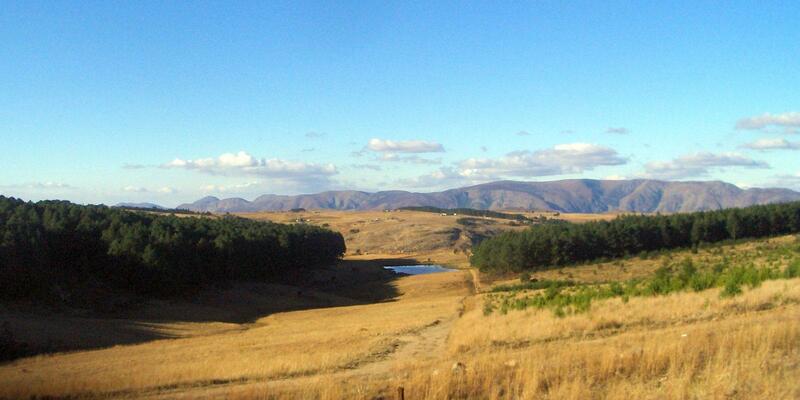 Much of the province consists of flat areas of scattered trees and grassland. The Magaliesberg mountain range in the northeast extends about 130 km (about 80 miles) from Pretoria to Rustenburg. The Vaal River flows along the southern border of the province. Temperatures range from 17° to 31 °C (62° to 88 °F) in the summer and from 3° to 21 °C (37° to 70 °F) in the winter. Annual rainfall totals about 360 mm (about 14 in), with almost all of it falling during the summer months, between October and April. North West Province is traversed by the northwesterly line of equal latitude and longitude.